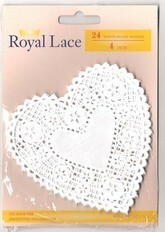 I remember these lace ‘doily’ hearts from when I was a kid. We were always doing little craft projects growing up, and I suddenly realized what a great (cheap) embellishment this could be for Valentine cards, gifts and scrapbook pages. I got a pack of 24 for $2.00… you just can’t beat that. These can be found just about anywhere. They are also a good idea for kids’ crafts. 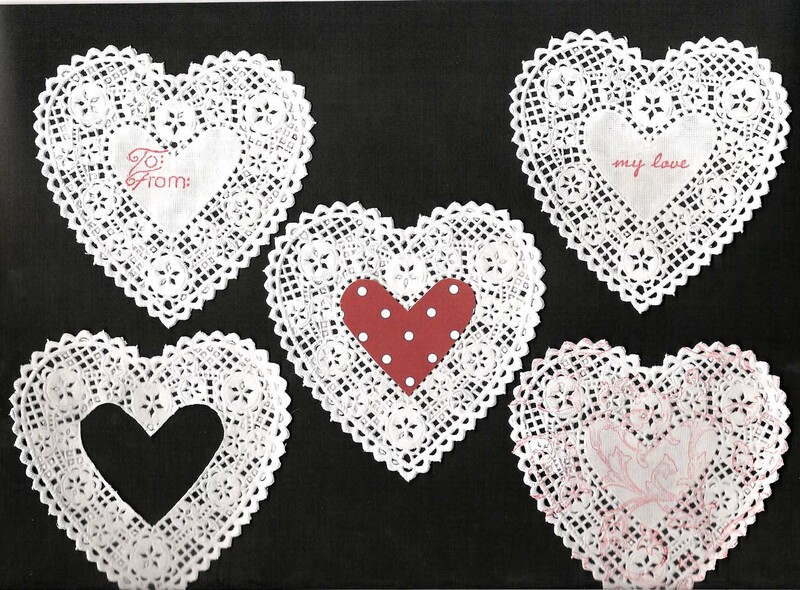 These lace hearts can be stamped on, cut out, written on, used as a gift tag, etc. At 8 cents each, it’s no big deal if you ‘mess one up’.